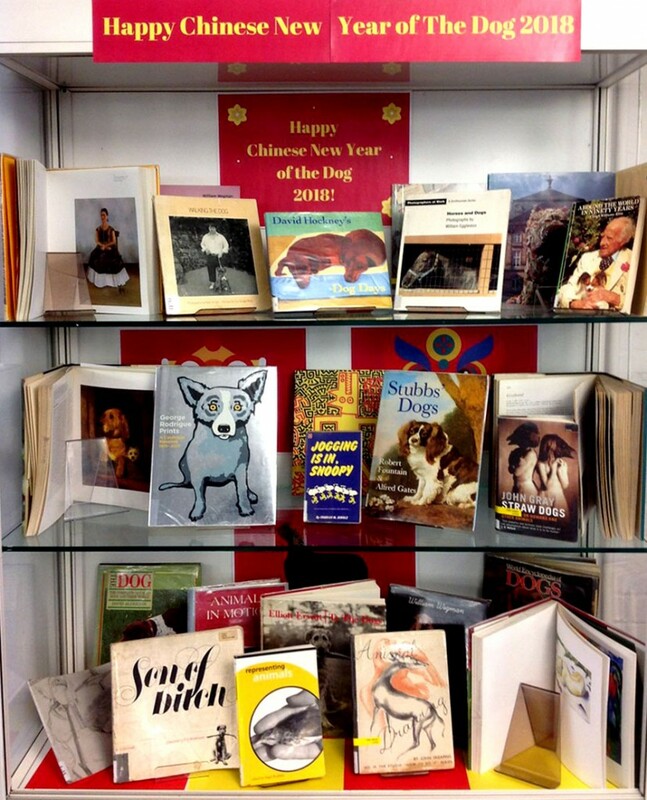 February the 16th saw the new Chinese New Year begin, and 2018 is the year of the dog – a great excuse for a display about dogs in Aldgate Library! From paintings by George Stubbs to David Hockney, photography by Elliott Erwitt, William Eggleston and William Wegman, to drawings by Albrecht Durer and sculptures by Jeff Koons, dogs have inspired artists for centuries, and we have plenty of books on the subject in the library. Don’t forget there is also Bridgeman Education, an online resource of millions of images, which you can access via the library catalogue using your university username and password. A quick keyword search for ‘dogs’ bought up over 18000 entries of dog related images! You can also read about Wes Anderson’s new dog themed film ‘Isle of Dogs‘, including an interview with Wes himself, in ‘Sight and Sound’ Magazine, (volume 28 issue 4, April 2018), which you can access online through the library catalogue. This entry was posted in Databases, event, events, Journals, Library e-resources, Uncategorized and tagged "Art Library", art, books, CASS, events, film, images, painting, photography. Bookmark the permalink.